Home to live stage productions of all types and styles, Branson features several award-winning shows that feature the incredible and amazing talent of some of the most accomplished acrobats on the planet! On your next trip, witness the incredible feats of strength, dexterity, and agility that are showcased at one of the unbelievable acrobatics shows in Branson, Missouri! Throughout the years, some of the most amazing and incredible shows have performed LIVE on stage in Branson, including: Legend of Kung Fu, The Adventures of Marco Polo, the Acrobats of China, Cirque Montage, and many more! This year is no different, with several acrobatic shows to choose from when you’re visiting! The Amazing Acrobats of Shanghai feature some of the most incredible acrobatics and feats of strength, agility, and dexterity you will ever see! Located at the former home of legendary country music icon Mickey Gilley, the new Grand Shanghai Theatre is now home to now only Gilley, but the Amazing Acrobats of Shanghai show as well! The show features an electric production that takes you on a fantastic journey where you can witness some of the most incredible and unvelievable feats of strenght and agility ever peformed! Featuring beautiful costumes and stage sets, that are only matched by the art, talent, and acrobatics of skilled performers direct from China! For nearly two hours you will take part in a memory-making experience where you will see chair balancing, foot juggling, aerial acrobatics, mask changing, and examples of strength and agility unlike those seen anywhere else in the world. Experience the Orient and the far East through the transcending music, scenery, and master skills that are both beautiful and bold – but also authentic and true to Chinese culture and customs. Enjoy the slight sense of danger and risk that comes with the exhilarating stunts performed at an acrobatic or circus show – and this production is no different. 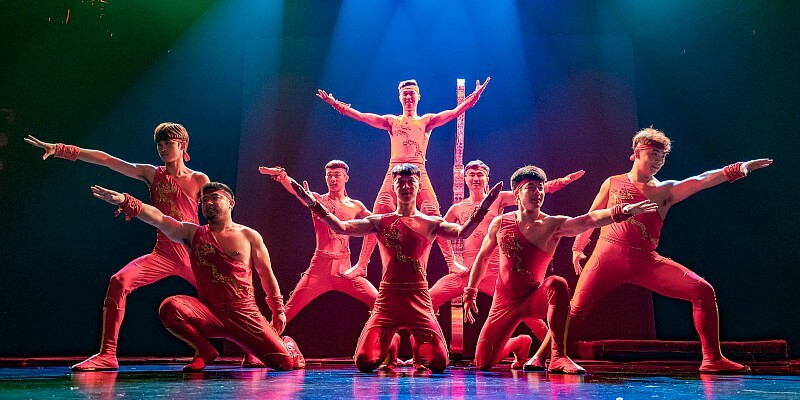 Chinese Acrobatic troupes sometimes travel internationally but are not frequently seen by audiences outside the country – Branson offers the rare chance for people around the country to see unbelievable acts of human balance, strength, and endurance LIVE on stage! Chinese acrobatic and circus shows are popular around the world and admiration for the sport and art form continue to grow. The unique combination of martial arts, performing arts, gymnastics, circus, dance, ballet, and even diving, create a unique art form and sport that is as entertaining as it is amazing. These intense athletes can overcome physical feats and perform stunts that you’ll have to see with your own eyes to believe! The Hamners’ Unbelievable Variety Show features incredible singing, dancing, choreography, acrobatics, magic, comedy, and more! One of the only true variety shows in Branson, Hamners’ Variety Show features some of the most incredible acts you’ll ever see – performing LIVE on stage in Branson, MO! Headlining this spectacular show are world-renown magicians and illusionists Dave & Denise Hamner. This award-winning couple has been recognized for their incredible acts and performance, garnering some of the highest accolades in show business and entertainment. Showscasing the talent of some of the most skilled performers to ever appear on any Branson stage, Hamners’ variety show features incredible choreography and dancing, aerial acrobatics of Russian performer Mariya Serykh, the one-of-a-kind act of Anthony Soumiatin on the Cyr Wheel – and many other segments that are sure to entertain audiences of all ages! If you’re a fan of TV specials like “America’s Got Talent,” then this is a show you won’t want to miss! 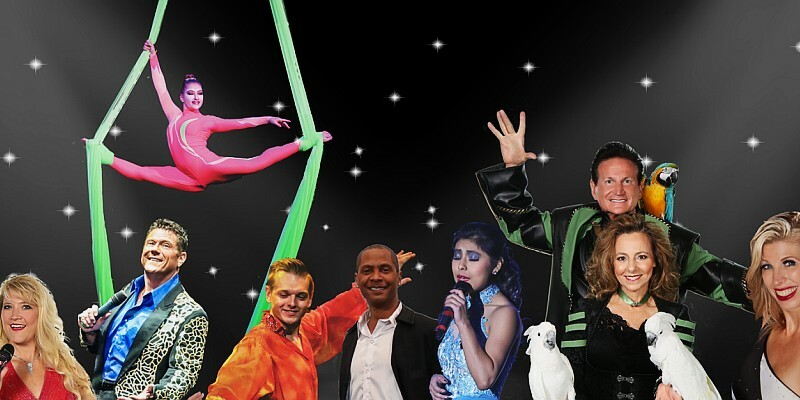 Janice Martin’s Cirque show features the incredible talent of the world’s only aerial violinist, music, and variety! Branson’s Starlite Theatre, is now home to the amazingly talented, Janice Martin (the World’s Only Aerial Acrobatic Violinist) and her all-new Cirque show! Martin is a Julliard-trained, driven performer with years of experience and practice – constantly refining her performance to create the best show of its kind to be seen anywhere! Her hard work and dedication has cultivated an act that not only won the “Best 2017 Matinee Show of the Year” Award, but the “Best 2017 New Show of the Year,” and the “2017 Female Entertainer of the year” Award! The wide variety of music, magic, singing, and dazzling aerial acrobatics, makes this high-energy show entertaining for guests of all ages. You’ll be amazed by the strength and skill required to perform the feats and acts on stage – while her charming and charistmatic personality leave audiences laughing and smiling. 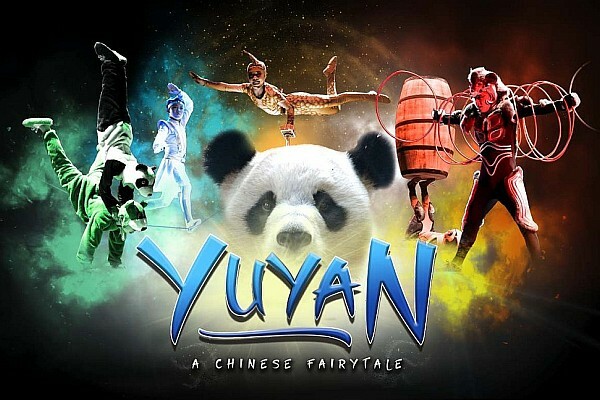 YUYAN is a brand-new show in 2018 that features the amazing talents of some of the most incredible Chinese acrobats and performers you will ever see! A brand-new show for 2018, YUYAN is a show that features a mesmerizing display of skill and talent from one of the most incredible acrobatic troupes to come out of China! Follow along the fairytale story and be amazed as you’re taken on a journey through some of the most amazing and unbelievable displays of strength and agility ever presented! Performing at the famous White House Theatre – it provides a one-of-a-kind entertainment experience that all ages are sure to love!